How things change. Less than 10 years ago, the island of Sri Lanka was gripped by a bloody civil war, fracturing the country in two and scaring away all but the most adventurous of tourists. But, since the end of the war in 2009, tourism on the island has boomed as visitors flock to ‘the teardrop of India’ to discover the lively cities, glorious beaches and scenic hinterland. There are 2 000 years of Sinhalese history to discover here too, so you’ll need a little time. 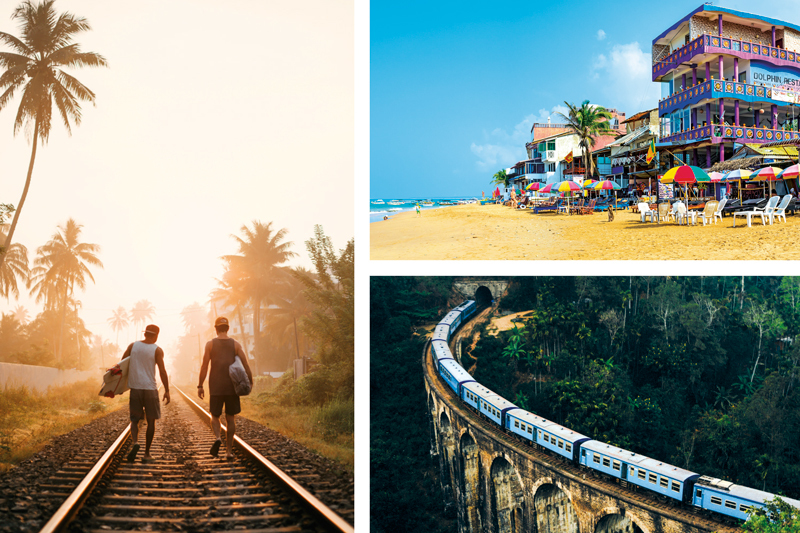 From its bustling streets to its colourful temples, Sri Lanka boasts the same irresistibly colourful chaos of India, but with the volume turned down. The pace is slower, the people friendlier and the cities less frenetic. 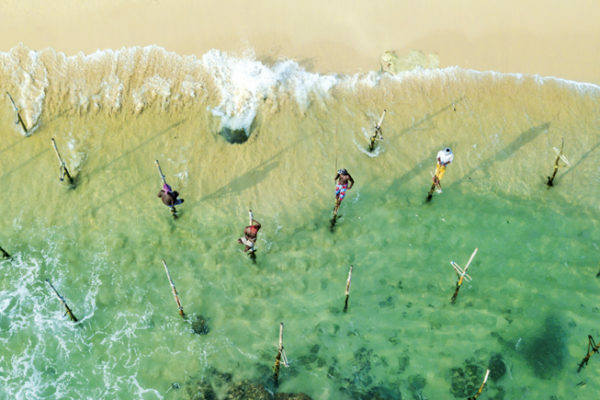 For a first taste of southern Asia, Sri Lanka is hard to beat. And, hallelujah, it’s affordable on the rand. Here’s how to get the most out of the country in a two-week trip. Your first taste of Sri Lanka will be the capital, Colombo, as most international flights land at Bandaranaike International Airport, about an hour north of the city. While many travellers catch the first train out of town, it’s a city well worth discovering. The historic Fort district is a good base, with many of the major sights an easy walk or short tuk-tuk ride away. Start at the quirky Sambodhi Chaithya on the edge of the harbour precinct: There’s no entry fee, and the elevated terrace offers 360° views over the city. It’s a good place to get your bearings and admire the striking murals adorning the interior of the stupa. Then meander back through the Fort district and past historic St Peter’s Church, the grand colonial piles along Janadhipathi Mawatha and the city museums. The Old Dutch Hospital has been revamped, and is filled with restaurants and boutiques. Make sure you leave time to discover Pettah – the city’s market district, crammed with tiny shops selling everything from clothing and Bollywood DVDs to fresh spices and delicious samosas. 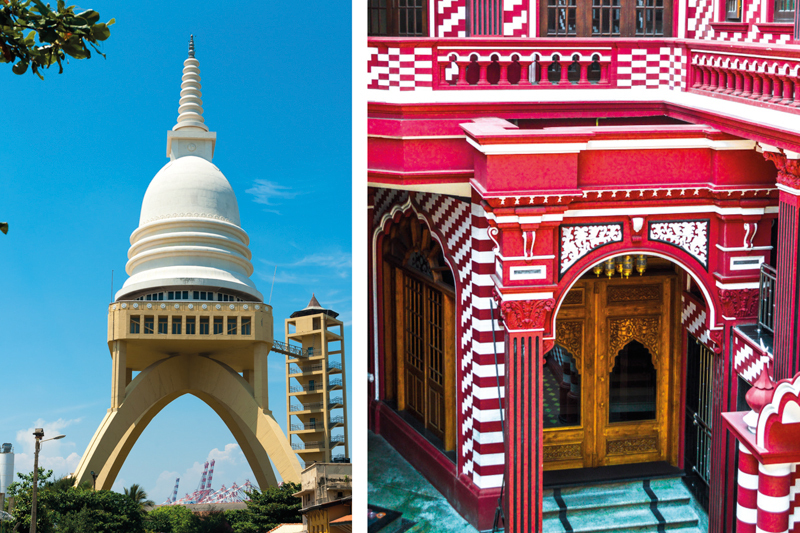 It’s a wonderful place to simply roam for a few hours, but be sure to seek out the beautiful Jami Ul-Alfar, Colombo’s eye-catching mosque. Come evening, head straight to Galle Face Green – the seafront promenade. If you’re feeling flush, the Galle Face Hotel is the finest digs in the city, but if you can’t afford a room, the terrace offers cold beers and the best sunset views. Afterwards, stroll along the Green with the locals, stopping at the myriad food stalls for a cheap bite. After Colombo, head for the hills. The train from Colombo Fort Railway Station to the interior is one of Asia’s most memorable journeys, the track winding across hillsides blanketed with lush tea plantations. It’s a fine way to meet the locals, marvel at the scenery and snack on packets of dhal vade – fried dhal cakes with curry leaf and fiery chilli. Ride to the end of the line at Badulla, hop off at the charming village of Ella, or break the journey midway for a few days in the ‘cultural capital’ of Kandy. Sri Lanka’s second-largest city is certainly a good base for discovering the central highlands and the ‘Cultural Triangle’, home to six of the island’s eight World Heritage Sites. 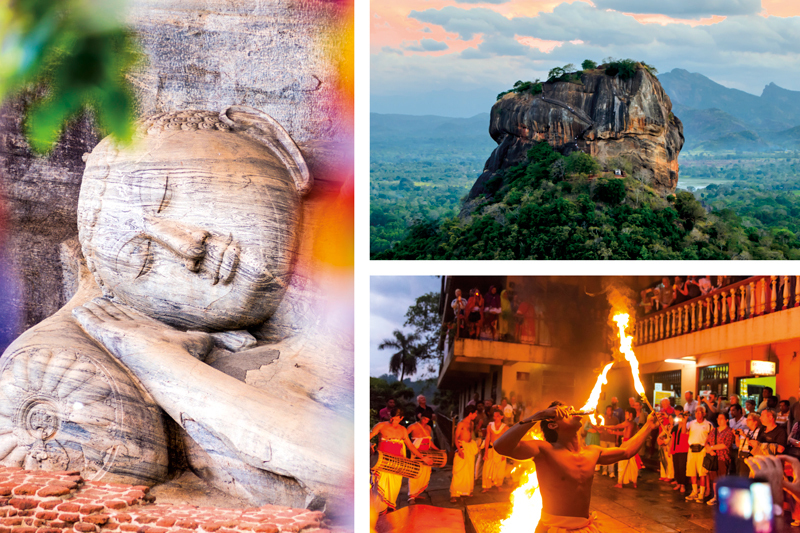 A (long) day trip from Kandy will bring you to one of the cultural landmarks of Sri Lanka, Sigiriya. Towering 200 m above the surrounding plains, this hilltop citadel dates back to the 5th century and is an incredible example of the ancient Sinhalese civilisation that once thrived there. Nearby, the cave temples of Dambulla and the ancient palaces of Polonnaruwa are equally worth visiting: The 800-year-old stone Buddhas of Gal Vihara, carved from a single granite outcrop, are the icons of this ancient capital, and remain one of my favourite sights in Asia. Then head back to Kandy, to explore the revered Temple of the Sacred Tooth and wander the lakeside promenade. There’s no shortage of local culture to discover, including the city’s annual Esala Perahera festival (July/August), which sees drummers, dancers and elephants parading through the streets. If time allows, also leave a few days for discovering some of the island’s magnificent national parks. Leopards are the star attraction in Yala National Park on the south coast, while Udawalawe National Park draws a crowd for its herds of wild Asian elephant. Although it’s a little off the beaten track, Sinharaja Forest Reserve – also a Unesco World Heritage Site – is heaven on Earth for twitchers. After a week or two of sightseeing you’ll want to work in some downtime. A few days chilling out on Sri Lanka’s golden sands is a fine way to end off your island adventure. The country’s coastline offers something for just about every pocket and predilection, so simply decide what you’re in the mood for. On the east coast, laid-back Arugam Bay is a prime spot for surfing, with a superb point-break dishing up reliable right-handers. It’s also a convenient hop-off point for exploring this side of the island: South to Yala National Park, or north for the colonial-era town of Batticaloa, or scuba diving at Trincomalee. In the peak summer season, visitors stick to the beach towns on the south and south-west coast, which are easily accessible by train from Colombo. Hikkaduwa has a lively nightlife and a choice of high-rise hotels, while Weligama and Mirissa are more relaxed beach towns with sparkling seas and white sands. 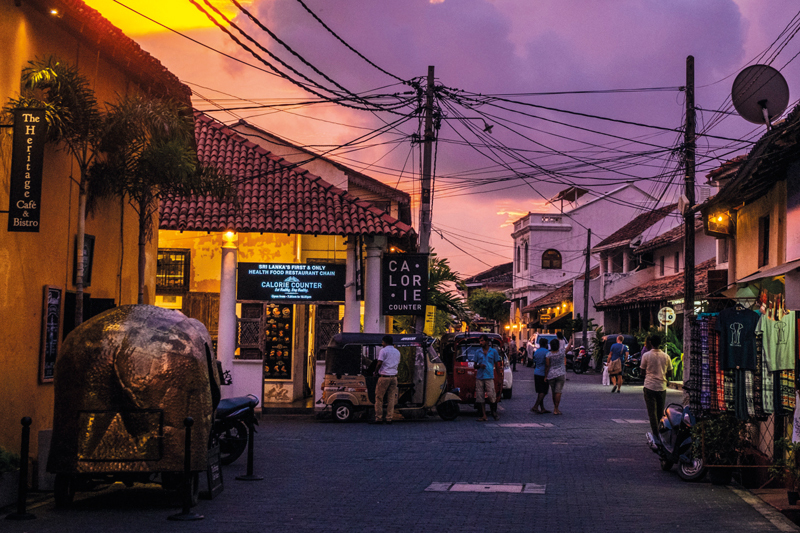 They’re also just 45 minutes by train from Galle, a charming Dutch colonial city worth exploring. If you have the time, Tanv and Talalla are known for their picture-perfect beaches and laid-back beach scene. If you’re hoping for sunny skies, deciding when to visit Sri Lanka will be dictated by where you intend to visit. The island’s rainfall is heavily influenced by two separate monsoons. The east coast enjoys its sunniest months between May and September, while December to March is the best time to visit the beach towns in the south-west and the scenic hill country. The cheapest (and most enjoyable) way to travel between major towns is by train. It is affordable, efficient and safe. In towns, tuk-tuks are available every-where. Few use the meter though, so negotiate the fare up-front. Expect to pay around 100 rupees per kilometre. Uber is available in Colombo, and is a good way to get to and from the airport. Self-driving is not recommended, but it’s easy to book a car and driver if needed. Thankfully, Sri Lanka is affordable on the ZAR. A cross-country train journey will set you back just R40, while a meal in a simple local restaurant can be had for as little as R30.